I have a confession to make. I used to be addicted to FarmVille. I would spend hours every day planting and harvesting my crops, making my little avatar walk all around my plot. I would buy cottages, keep animals, and I had an orchard running the edge of my land. It was wonderful. And I wasn’t the only one. I had a group of friends just as addicted as me, who would visit my farm and send me the items I needed. But those were the good old days, when I was footloose and fancy free, with hours to waste on clicking. I have since kicked the habit. But many haven’t. 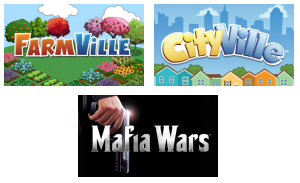 Zynga, the makers of FarmVille, and a multitude of similar games like CityVille, Mafia Wars, and Treasure Isle, draws 200 million monthly users through their games on Facebook. And while the games are far from intricate, they certainly have an appeal. Maybe it’s the idea that players can do something they wouldn’t normally be able to. I certainly have never raised a farm from scratch, or been a town planner, or been involved in gang wars. And neither have Zynga’s main target audience – stay at home mothers, who are probably seek a chance to engage with their Facebook friends in a different way. But Zynga is on the move, away from the comforting and successful confines of Facebook, and out in to the real world. The company’s IPO on December 16, 2011, was at a stock price of $10. However, after closing down 5 per cent on the first day, the stock price has steadily fallen, and is now trading at $9.71 (as at 25/1/12). Additionally, in October 2011, Zynga announced it would launch its own platform away from Facebook, while keeping some ties, for users to access its games. However, there are doubts about how successful Zynga would be if it ever moved away from the global giant that is Facebook. After all, how else would it reach an audience of close to 1 billion users? And while it may be all well and good to branch out, the main driver behind progression in many of Zynga’s games is having friends to help you out. If these games were played outside of Facebook, how would this happen? Even using a Facebook login, how many users would be willing to visit an external site, or would remember to? And for many, like me, the novelty and time-consumption of the games could wear off after a while. Without the return traffic that Facebook has, an outside platform could suffer. With all these doubts and questions, it may well be that Zynga surpasses all expectations and continues the success it has already had in its stock price and a new platform. After all, it is the company that made farming from your bedroom cool – at least for a little while.